Motivating the female members and office-bearers of the Nagpur Branch of ICAI here recently, CA Arti Kulkarni said that the mere academic qualification is not enough. Speaking at the function organised to mark International Women’s Day, she said that one should be a good human being to achieve success. Kulkarni urged the participants to work hard as there is no shortcut to success. “Nothing come easy in life,” she said. 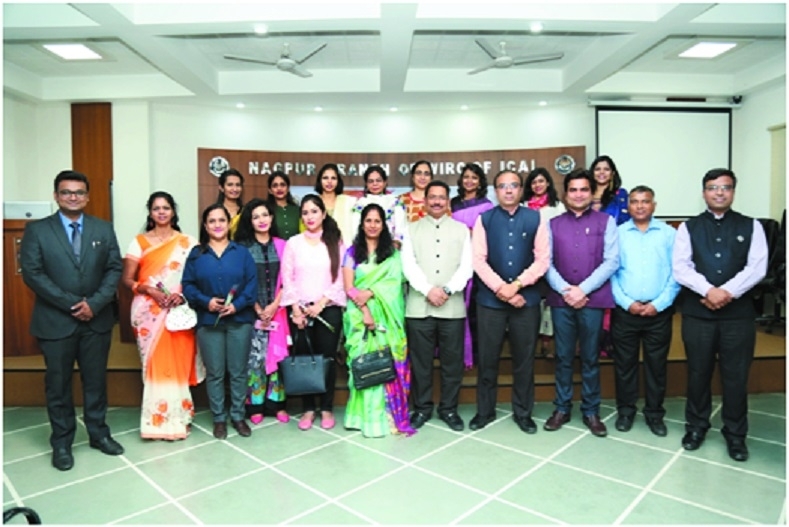 The branch organised the unique event with an objective of recognising the efforts of all women faculty members attached to the Nagpur Branch Institute of Chartered Accountants of India (ICAI). Further, highlighting the strengths and wisdom of Hindu Goddesses - Sarasawati, Durga and Lakshmi, she said that the today’s women need to broaden her vision. “If your vision is not broad enough, you will not be able to create impact of whatever you do in life. Apart from this, you also gather physical strength to turn your dreams into reality,” she said asking the participating women members to stay physically and mentally fit. At the outset, CA Suren Duragkar, Chairman Nagpur Branch, welcomed all women faculties of the Nagpur Branch and thanked them for their dedication for serving the Nagpur Branch and shaping the future of CA students. “Woman is no more confined to four walls of their house but she is not proving her mettle in all walks of life,” he said quoting example of Savitri Bai Phule, who fought for education and uplift of ladies. He spoke about multi-tasking abilities of women and urged the faculties to update students about values, culture and current affairs along with the academics. CA Kirit Kalyani, Vice-Chairman of the Branch, conducted the proceeding of the event while CA Akshay Gulhane, Executive Committee Member, introduced the speaker. CA Harish Rangwani, Executive Committee Member, also expressed his view on the topic while CA Saket Bagdia, Secretary of the Branch, proposed the formal vote of thanks. CA Manisha Kapoor and CA Neerja Kartik also spoke on the occasion and shared their experiences of being woman. Prominently present on the occasion were CA Mahesh Chandak, CA Minita Raja, CA Premlata Daga, CA Richa Jain, CA Sonam Vaswani, CA Swaroopa Wazalwar, CA Trupti Bhattad, CA Manisha Kapoor, Samiksha Jain, Sucheta Dhoot, Chanda Sinhababu, CA Neerja Kartik, CA Sushmita Chuckerborty, CA Neha Parani, members from Nagpur Branch WICASA Committee and large number of female chartered accountant students.